Part of the experience of the #ibmCSC is to immerse yourself in a new culture and the business practices of your host country, but a big portion is to also gain experience and learn from your global team. The 14 of us are from 8 countries and many have brought something representing their country to share so we all learn about new cultures. We’ve had a few of the exchanges so far and it’s been great! 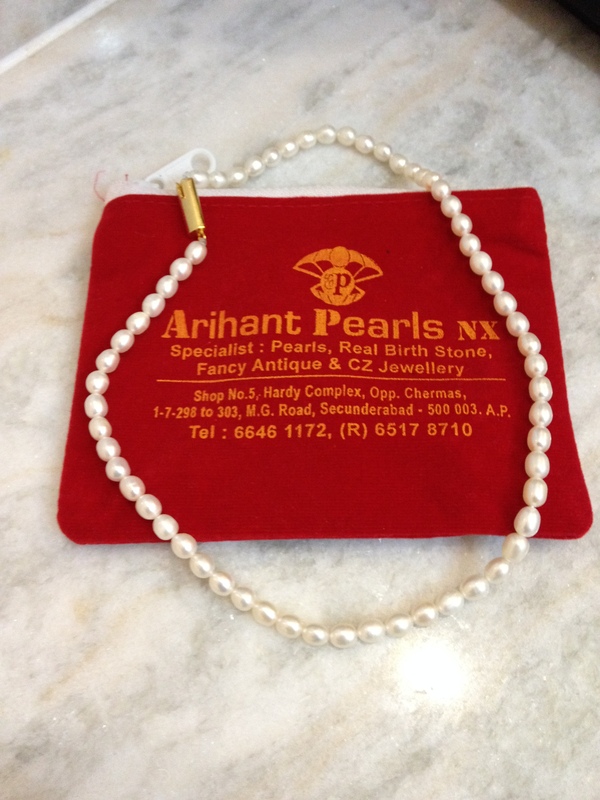 Savi is from Hyderabad, India and brought the ladies beautiful pearl necklaces and earrings. Effie, our Canadian, brought us bright red Canada hats and keychains with Canadian history. Aruna from Texas gifted shot glasses and toothpick holders with the ever popular “Don’t Mess With Texas” slogan. From our Brazilian teammate, Lucia, we got wonderful local chocolates. 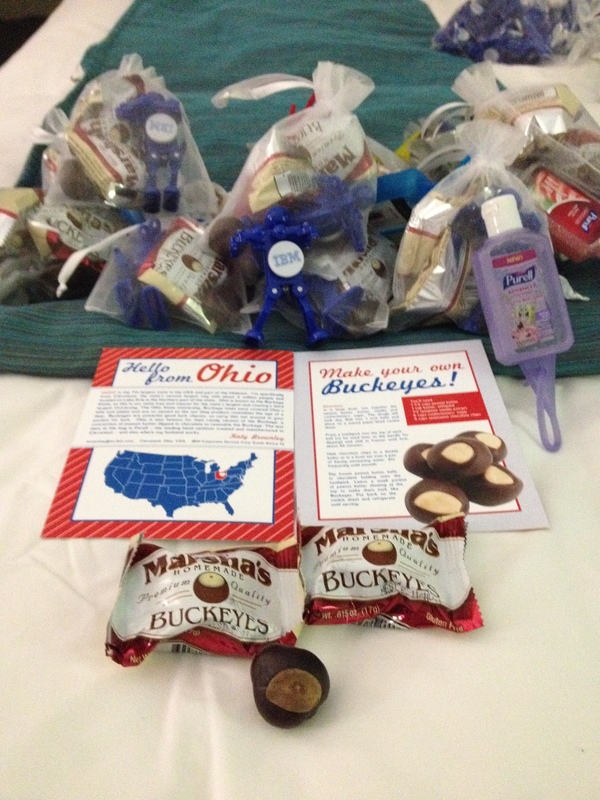 And I distributed my Ohio kit, consisting of both real and candy Buckeyes (which did not melt nor get confiscated by Customs and Immigration! ), Purell (which I learned is not globally known — Dave, you have your work cut out for you! ), and a beautiful card explaining it all made my uber-talented friend Laura. WOW!! WE ALL LEARN SOMETHING NEW FROM EACH ONE OF YOUR POSTINGS. Thanks for your posts Katy. Now I need to quickly go to the internet and find out what a buckeye is.